Photos from a tour around the abandoned Aldwych underground station, London. 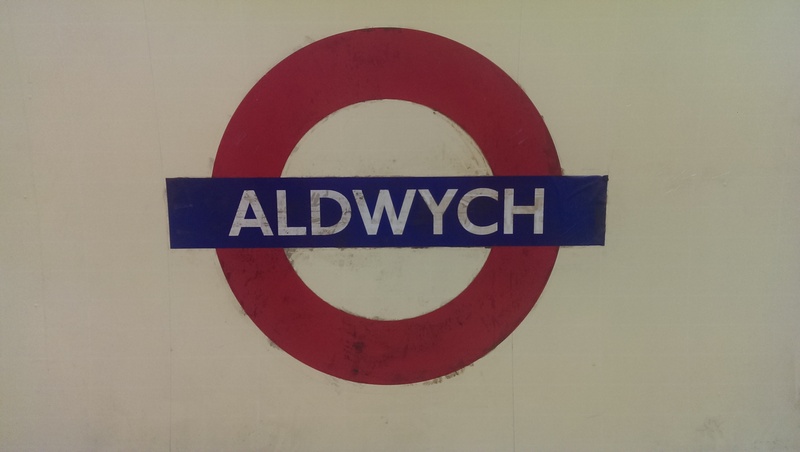 On a slight tangent away from my usual blog post topic, I wanted to share with you the photos from the excellent tour that I went on this evening with 39 others, at the abandoned Aldwych Station in London. Expertly led by a group of volunteers, 40 of us queued to get inside one of London’s lost destinations – Aldwych Station (although for a while, it was The Strand). In a 55 minute tour (all sold out now! ), a group of volunteers explained the development and demise of the station – how it was almost not built at all, how it very quickly became apparent that it was not feasible to complete, and how the station’s lifts caused it to finally close in 1994. London Transport Museum‘s tour was fascinating – we walked three platforms, incomplete tunnels, stared at period posters (we were assured that they were copies rather than the real Edwardian posters), learnt about the ghost that is believed to date from the station’s predecessor The Strand Theatre (a topic that TV’s Most Haunted tried to explore). Here’s the gallery – simply click a photo to go large (and instigate the slideshow). Unfinished pedestrian tunnels, abandoned when it became clear the station wasn’t going to grow. This platform – bricked up at either end – closed in 1917. It was used in the second world war as a bomb shelter, housing around 1500 people. It was also used as storage space for artworks from V&A and British Museum, and was home to the Elgin Marbles. Previous Previous post: Who Do You Think You Are? Live 2014 tickets now available!